Balranald and surrounds is full of surprises, and when you visit the area you will be in awe of the contrasting landscapes and riverscapes that make this area unique. 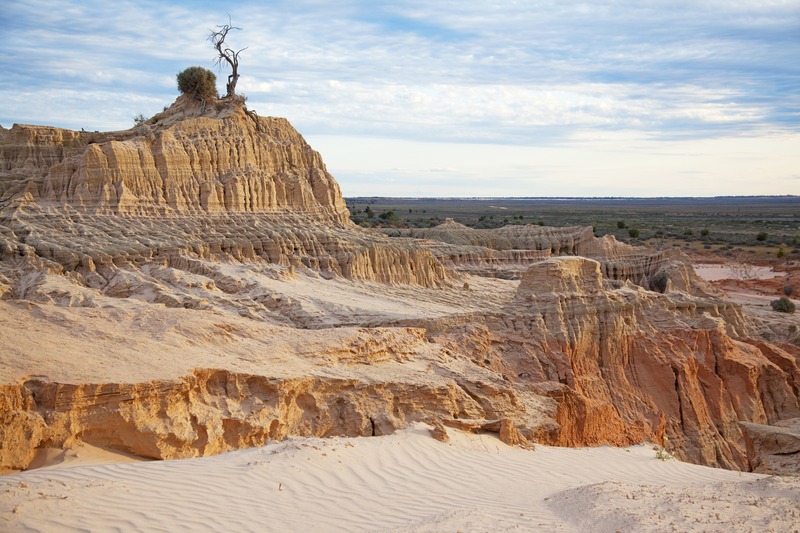 These distinctive natural settings are represented by the two unique national parks: the spectacular Mungo National Park, with its red earth, sands and lunette walls, (part of the World Heritage–listed Willandra Lakes region); and, in stark contrast, the picturesque Yanga National Park, with a lake and wetlands lined with majestic redgums. Another unique feature of this region is the five rivers that flow through and converge within Balranald Shire (the Murrumbidgee, the Murray, the Lachlan, the Wakool and the Edward rivers). These rivers make the area an ideal destination for fishing, camping, boating, canoeing, kayaking or just chilling on the banks. Balranald Shire is also surrounded by rich agricultural lands, and along with the main township of Balranald, the area boasts the picturesque village of Euston (on the Murray River) and the charming hamlets of Kyalite (on the Edward and Wakool rivers, and home to the iconic Kyalite Pub), Oxley, Hatfield, Clare and Penarie, home of the iconic Homebush Pub. Known as the gateway to outback New South Wales, Balranald and surrounds is ideally located on the Sturt Highway between Sydney and Adelaide. This makes it an ideal stopover for travellers, but more importantly, it is a fabulous holiday or weekend-away destination.